Your dream wedding can include the Caribbean breeze, loved ones and a tropical palm backdrop in Belize. Adding a travel component to your big day is one way to clearly demarcate the beginning of your happily ever after. The memories made during this once-in-a-lifetime trip will stay with you always and the location of your ceremony will be a forever touchstone of the start of your love story. 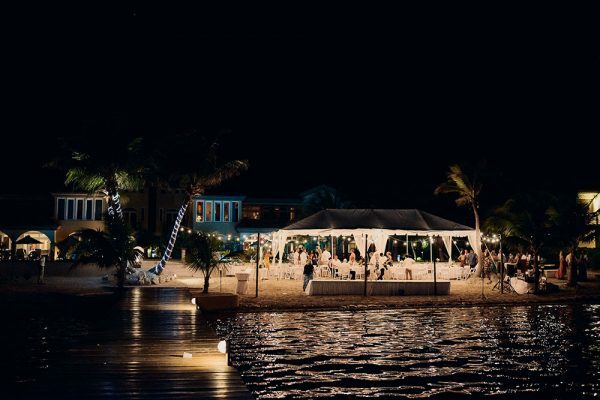 Returning to your Belize destination wedding resort can make those special anniversaries and landmark moments of your future take on an even greater meaning. Belize is an easy choice and a growing hotspot for destination weddings. Ambergris Caye is a top location for Belize destination wedding resorts. The island is a haven for luxury travel in Belize and offers many benefits for your wedding. 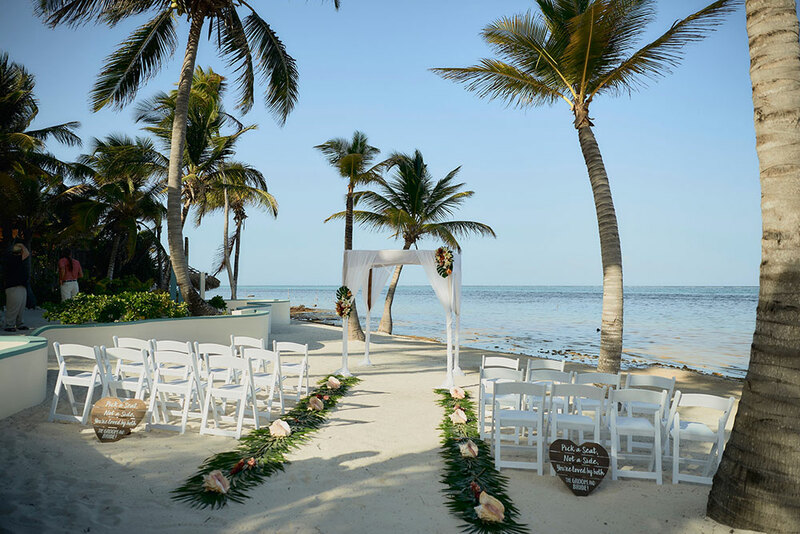 The variety of wedding resorts and options ensure that just the right dream wedding is waiting on Ambergris Caye. San Pedro, the island’s only town, is charming and vestiges of the sleepy fishing village it was in days gone past still can be seen. The friendly local people, thriving night life and ideal location on the Belize Barrier Reef make it a natural decision. Following is a list of the top reasons to choose a Belize destination wedding package for your big day. There are many travel hubs throughout North America offering direct service to Belize. The Philip Goldson International Airport (Airport code BZE) is located in Belize City and is the only international airport in Belize. From there, it is an easy 15 minute hopper flight to Ambergris Caye with stunning views of the reef along the way. The official language in Belize is English and many countries, including the USA, Canada and England enjoy an automatic 30-day visa upon arrival to the country. This makes travel easy, even for guests that may not have done much international traveling. Take advantage of the convenience of having experience in your corner. Planning your destination wedding from afar needn’t be complicated or stressful. By choosing a Belize destination wedding resort with a wedding planner on staff, you know that every last detail will be carefully considered and taken care of. 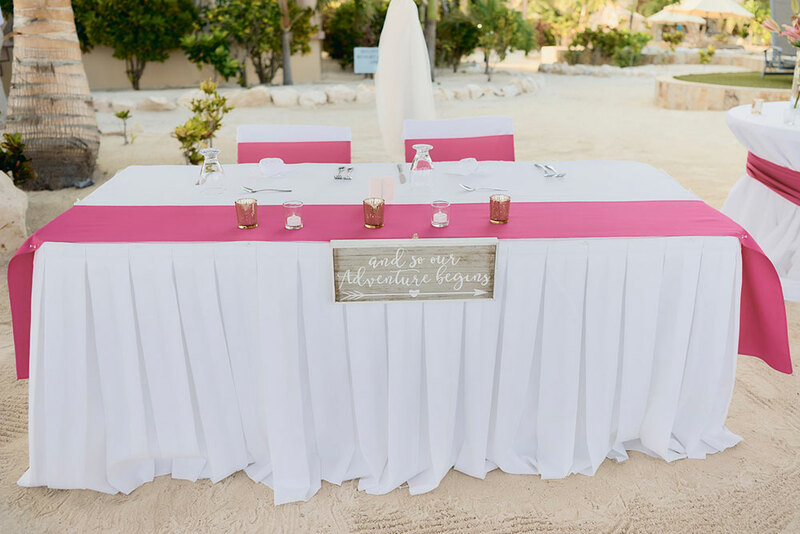 The local wedding planner will know about destination-specific concerns such as weather, local meal options and the availability of floral elements, spa treatments and beauty needs. They are also invaluable while you are in-county in ensuring that all of your wedding paperwork is taken care of and can facilitate any additional needs that you may have during your wedding. Your wedding day is the start of your marriage and is an inherent reflection of who you are as a couple. 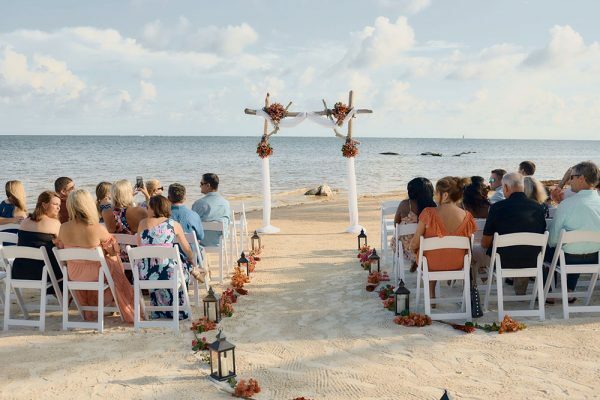 An often-overlooked perk of a Belize beach wedding is the built-in gorgeous natural setting. Let the Caribbean Sea and Belize Barrier Reef, sun, sand and coconuts be the backdrop for your I Do’s. With some tasteful additions to personalize the already stunning beach landscape, you’re well on your way to a unique wedding style that celebrates you as the wedding couple. The melting pot of culture found in Belize leads to flavorful local cuisine that you can take advantage of during your celebrations. Choose bold local flavors like Creole, jerk or curry, incorporate fresh tropical fruits and veggies and of course don’t forget about the incredible seafood available. There are a wide variety of menu options that can be tailored to your preferences and dietary needs. Belize destination wedding packages are based on the number of guests that you will have at your wedding. There is a range of options to suite all budgets and styles, and wedding services can be added on to create your dream day. 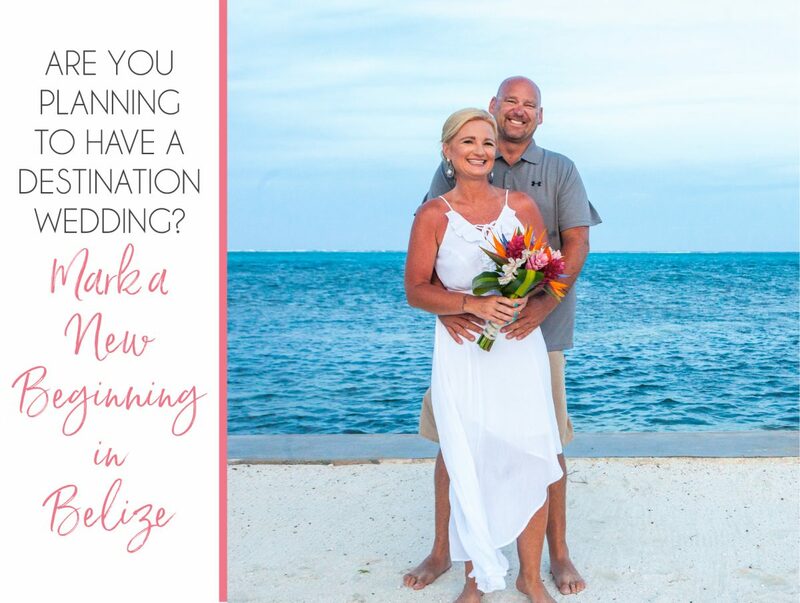 Choosing your Belize destination wedding resort will get you started, and serve as a starting point for budgeting your wedding celebration. A bonus of having your wedding in a vacation destination is that you do not need to look far for entertainment for your wedding party and guests. Put some island flare in your itinerary by scheduling a catamaran sail in lieu of a traditional rehearsal dinner, planning a snorkeling trip for the days leading up to your nuptials or treat your wedding party to a private flyover tour of Belize’s Great Blue Hole. Of course, lazy mornings by the pool should not be ruled out, either. Belize has it all and your guests can find the perfect balance of adventure and relaxation, with the crowning jewel of your wedding day to cap off their trip to Belize. Save time and money by staying in Belize for your honeymoon. You can easily move to another resort on the island for a fresh start or you can choose to explore other areas in the country. The mainland is rich in ancient culture and jungle adventures, offering many new experiences for you to experience together. Romantic activities on San Pedro include private candlelit dinners on the beach, sunset sail and couples massages. Your dream wedding is waiting! 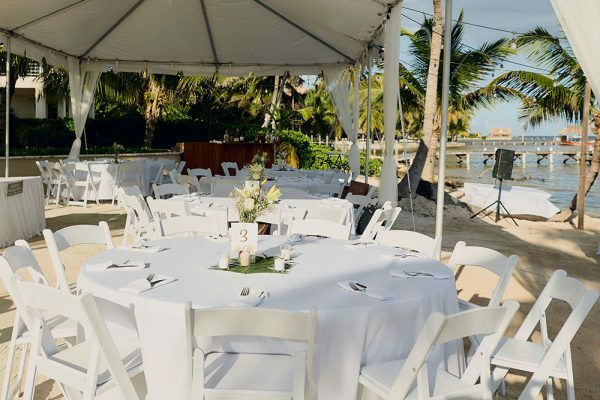 For more on the logistics, check out All You Need to Know About Belize Destination Weddings or our weddings page, here. Photograph below credited to Leonardo Melendez Photography.